Statistics alarmingly places Arizona in rank 2 in the nation for drug overdose deaths; this is according to ABC News. Furthermore, 85% of Arizona residents reside in counties with high overdose rates. Addiction is a crazy loop; being okay and sober one moment and craving hard for the substance the next minute. Among the Tucson rehab facilities, we at Arizona Rehab Campus provides treatment that cares. We understand that addiction does more damage than the physical, and we address the problem beyond that point. We are here to help you out of the loop and not end up as just one of the numbers. Treatment in Arizona Rehab Campus involves many in-depth methods. Programs are tailored to address each person’s specific needs. The length of stay in the treatment center also is not rigid but is based according to how long a patient needs professional help. The process starts with an insurance check. To keep up with the thrust of helping many people overcome their addiction, the center accepts most insurances such as BCBS, Humana, United, Cigna, Aetna, Multi-Plan, and AHCCCS. A medical doctor and a psychologist/psychiatrist on staff conduct a biopsychosocial and medical evaluation. The result of such an assessment would help to design the program fit for each patient. Medical detox is the usual first step to the treatment regimen. We ensure that the process is safe and secure and done by trained health professionals. Upon the patient’s stay at our Tucson rehab facilities, he is immersed in a community that is accepting and relaxing. He does not need to always be on guard and does not need to be in constant fear to be judged. He can relax his mind and emotions through quiet meditation or by engaging himself in conversations with small groups. The emotional root of the addiction and the emotional turmoil of being trapped in the loop are also emphasized as we believe that treating this facet would help the patient overcome his situation. Our Inpatient Drug Rehab gives our patients access to our world-class facilities. There are counseling areas, semi-private dorm rooms, recreational facilities, pools, fitness facilities, and more. These amenities help the patient feel that he is valued and is given the best care. His dignity as a person is not compromised. 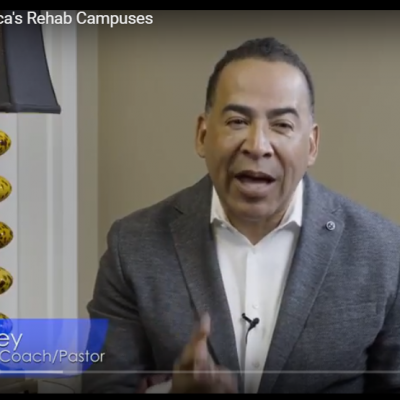 Being inside the Rehab Campus does not make one a prisoner. Because of its prime location at Tucson, many beautiful sites can be visited nearby such as the Saguaro National Park, Old Tucson Studios, Tohono Chul Park and several museums. Lastly, we ensure that once the program is done that the patient would be restored to the society and would lead a healthy and productive life. As such, career building and skill learning are part of the treatment program. Addiction is a fierce battle. But you or a loved one should not fight it alone. Our line is always open. Please give us a call at (833) 272-7342. We are committed to helping.